Hello guys! I’m officialy on holidays!! Yaaaay! It feels so good, my schedule is packed and I love it (yes I’m a crazy planner)! What about you? Are you on summer break? Did you spend a great month? Are you traveling somewhere? I wanna know everything! Today I’m going to talk about my 5 most anticipated book-to-movie adaptations. I’m always both scared and excited when a book is picked up to become a movie or a tv show because damn they can really mess it up! But I must say it’s pretty thrilling to watch a whole world come to life! Don’t you agree?! Enough with the small talk, let’s dive in! There was all this hype surrounding this book and I must admit that even if I enjoyed it, for me it was a bit disappointing. I guess I had too many expectations! It’s the story of Simon, 16, who’s living a pretty ordinary life. But guess what? He has a secret : he’s gay and slowly falling in love with Blue, a stranger he’s been emailing back and forth. Simon’s life is begining to unravel when his well-guarded secret is threatening to come out. Directed by Greg Berlanti, the movie is supposed to come out in March 2018 and I’m really excited to see this story on the big screen because n°1 : the cast sounds kinda awesome (Nick Robinson as Simon, Josh Duhamel as Jack, Jennifer Garner as Emily) and n°2 : it’s about growing up and becoming the person you want to be and I’m pretty sure it’s going to be funny and super sweet. I just hope the characters are as endearing as they are in the book! 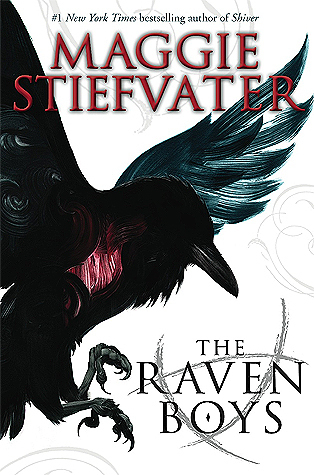 Maggie Stiefvater’s The Raven Cycle is coming to television and I couldn’t be more pumped! This book completely took me by surprise because I’m more a contemporary kind of gal but seriously this story and damn those characters, I couldn’t help but fall in love! So I’m really REALLY nervous about this! For those who don’t know what I’m talking about : this series follows the story of Blue Sargent, Richard Gansey III, Adam Parrish, Ronan Lynch, and Noah Czerny as they attempt to find the sleeping Welsh king Glendower. Just a few words to describe this book : fantasy, magic, strange and addictive. It was supposed to be turned into a movie but I guess with it being a series it made more sense to turn it into a tv show. It’s currently in production, with Catherine Harwick as the director and producer and Andrew Miller as its showrunner. Just gimme a trailer NOW! Shatter Me is going to be a tv series! Yaaaay! I know not everybody liked this book but I seriously loved it and I’m so curious to see it coming to life. Set in a dystopian world, Juliet is imprisoned for a crime she never intended to commit, a crime caused by a peculiar gift she herself doesn’t understand. You’re hooked?! The series rights have been sold to ABC Signature Studios and author Tahereh Mafi will be a Consulting Producer for the show. And that’s excellent news because in Hollywood, a very few authors are granted that position! I don’t have any more info at the moment, I’m hoping we’ll get more news very soon! Universal pushed the adaptation of Let It Snow from December 2016 to November 2017 and I’m mad! Waiting a whole other year…ugh! It better be good! 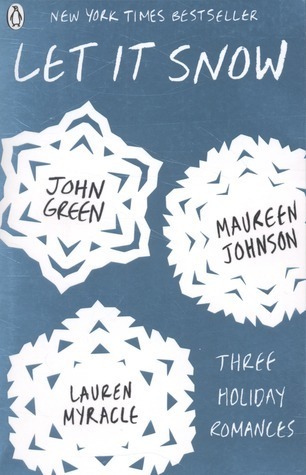 Based on the short stories from John Green, Maureen Johnson and Lauren Myracle, the plot is about three unexpected romances that take place over the course of one Christmas Eve. It’s cute, funny and just overall charming. It’s going to be the perfect Christmas movie to watch under a soft blanket with a nice cup of tea. Luke Snellin was hired to direct the film with a screenplay first written by Kay Cannon and revised by Scott Neustadter and Michael Weber. As far as I know, no official news about the cast. Look at that movie poster!! I don’t know about you but it sure makes me want to see the movie! All the Bright Places is a 2015 young adult novel written by Jennifer Niven. The film adaptation is starring Elle Fanning and is currently in pre-production. It’s supposed to be released in 2018. So, what’s it about? The story traces the relationship between two completely different teenagers, Violet and Finch, that begins when each contemplate suicide. It’s heart-wrenching and authentic. It’s about finding yourself and it tackles touchy subjects like mental illness, trauma, family and grief. Miguel Arteta is to direct and Jennifer Niven Niven will write the movie’s script, isn’t that awesome? I hope I’ll feel more emotionally connected to the story and its characters than I did with the book. Are you excited for those books to come to life? Any others adaptations you’re looking forward to? Do you prefer that books stay books or do you like watching it on the big screen? Enjoy your break. I’m looking forward to Simon. And this time next week I’ll be on a plane to New York! EEP YASSSS I’m so excited for the Raven Boys!! But also mildly terrified hahaha. I haven’t read any of the other books so I can’t say much about them other than I have heard a lot of good things about them! I did not know The Raven Boys and Shatter Me are becoming movies!! But that just scares the hell out of me, because nailing those two books on screen is going to be diffciult. I cannot wait for the Simon movie !! Great post! Movie adaptations always get me so excited! These sound good, I hope they all live up to expectations! NICK ROBINSON?!?!?! AKA my one true love?! Oh gosh I have to see this movie. I’ve haven’t heard of any of those except Maggie Stiefvater and Let It Snow. But I love when books come to TV, more young people might jump to reading their favorite series if they fall in love with the characters. I’m also looking forward to The Hate U Give. I always love the books more, but it’s sort of fun when they are turned into movies or series. So I know I’ll watch most of them. Can’t wait. Although, I haven’t read ANY of these. They’re on my GR list but I just haven’t gotten around to borrowing them from my library and reading them. The first one I’d read would be The Raven Boys. I’ve read nothing but good things about those books. Haha, don’t you worry! 😊 Yes, I’m writing a post per month, about tv shows, movies, food, books, travel, well…anything inspiring really 😀 Haha glad you agree! Great list! It’ll be interesting to see how well the movies/tv series turn out. I’m also really looking forward to A Wrinkle in Time! The trailer looks pretty amazing! I had NO idea they were making All the Bright Places into a film, wow that’s going to be amazing if the poster is anything to go by! Great post Nyx. I’m already really excited for the Simon Vs movie, I’ve been following that as the cast have been revealed and it looks like it’ll be amazing, same with The Raven Cycle. That’s one of my all-time favourites and I can’t wait to see it as a TV series. The adaption I’m looking forwards to is the Chaos Walking trilogy by Patrick ness, they’re making it into a film and I cannot wait! I can’t believe Shatter Me is going to be a tv series. I loved that book series. I actually a story that similar to that book series. Also, The Dark Tower series by Stephen King is going to be movies. Admittedly I keep forgetting about these adaptations. I think my excitement for them has dwindled. I am intrigued by The Raven Cycle adaptation. I loved the books so I’m interested in seeing how it’s brought to the screen. I’m always really scared about movie adaptions because WHAT IF THEY RUIN IT??? It’s happened too many times already and I just assume they’ll do it to every book. 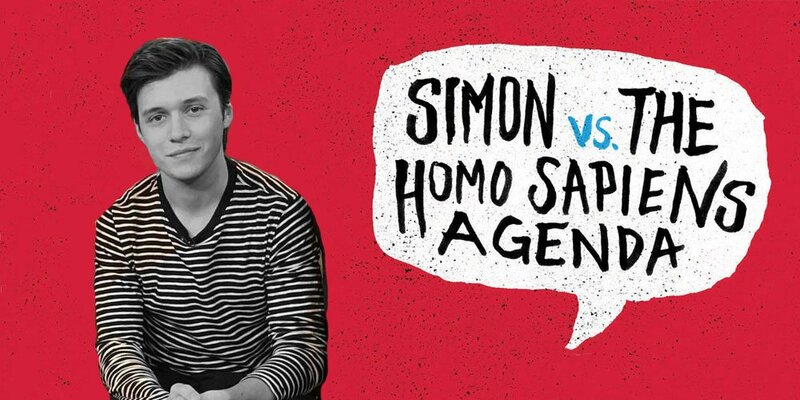 BUT I’m really excited about the Simon Vs. movie! I’m also excited about The Raven Boys — but they better not ruin it! I know Let It Snow is marketed as three romances, but they all tie together. I wonder more about how it’s going to be put together. I imagine they’ll keep going back and forth between all three, but it would be cool to see a time sequence similar to that of Pulp Fiction. I’m excited for Simon Vs., though! and how in the world did you get those +toGoodreads buttons? They’re so cool. What a great post! I love adaptions even though most are stinky, lol. I’m definitely looking forward to the television shows! The Raven Boys were great characters! And Shatter Me impresses me as a great tv story… Though Simon vs. looks really great too and will give me a reason to read the book! OH MY GOSH!!! i didn’t know about so many of these and now I AM PSYCHEDDDD! I really hope they pull them all off and it won’t be another shadowhunters tv… I was disappointed with that one. I am also looking forward to the TV adaption of the shades of magic series, although that’s still in the veeeery early phases. But Raven Boys and Simon is probably my biggest excitement, because Shatter Me just keeps taking SO long to do anything. They’ve been talking about it for years. Ughhh, lucky! 😉 Haven’t read that serie yet but it’s definitely on my list! 😀 Years?! Damn, I HATE waiting haha! I DID NOT KNOW THAT ABOUT RAVEN BOYS- SO PUMPED!! AND ALL THE BRIGHT PLACES?!! How did I not know about these?!!? And the only reason why I’m not equally excited about Shatter me is cos I already knew that was coming (but inside I’m still squealing from when I heard 😉 ) This is such a great post- hope you’re enjoying your hols! Yes! To every one of these. I am most afraid of ATBP, because I want to cry right now just thinking about it, so I am not sure if I would survive the movie. Ooooh, I didn’t realise that The Raven Boys and All The Bright Places were being adapted! I’m sure they will be really good, though. I’m very excited for Simon vs the Homo Sapiens Agenda, and I’m very curious about Before I Fall, which I haven’t seen yet. YESSS TO ALL OF THESE (except Shatter Me which I’m not a big fan of, sorry 😊😊). Simon vs and Raven Boys especially I’m super excited about. I really hope they don’t mess up the adaptations. I don’t think I knew about Shatter Me, but I am definitely going to watch iT! Honestly, I’d like to see all of these, though the only ones I have read in their entireties are ATBP and Shatter Me. I read half of The Raven Boys, so I guess I better finish! And I have Simon, so I should read that ASAP too! Great list!! Ohh I didn’t know Shatter Me is going to be a tv series! I’m really excited for Simon and The Raven Boys, though I’m also slightly nervous about the latter. I don’t think they can do much wrong when it comes to Simon (I really hope they won’t prove me wrong haha), but The Raven Boys is a pretty complex series and I feel like it’s easy to mess that up? LET’S NOT BE PESSIMISTIC THOUGH. I’m also SUPER EXCITED for To All The Boys I’ve Loved Before. I love the cast so much?? Great Post Marie! Keeping me up to date with all the news in the book world, I never knew they were making these into movies/tv shows. I actually have one read The Raven Boys too which you know I struggled with but I feel like I could like the TV Show? Because I would understand it more! Do you think Shatter Me is one I would like? I’ve heard mixed reviews. I’m excited for ATBP but SO NERVOUS. It’s one of my favorite books and Jennifer Niven is so sweet I just want it to do the book, and her, justice.